The Colombian rider has already raced with the team at Magny-Cours last season. Colombian racer and AMA Pro Superbike front-runner Martin Cardenas has signed for the CIA Landlords Insurance Honda team for a title challenge in the 2015 Supersport World Championship. A former 250cc and Moto2 GP racer, he is the 2010/2012 AMA Daytona Sportbike Champion and in recent years has been a podium contender and race winner in the AMA Pro Superbike class. Martin rode as a wild card for CIA Landlords Insurance Honda at Magny-Cours in 2014, finishing a respectable 16th after being run off the track at the first corner. He showed raw speed and potential as he caught up with the main field. 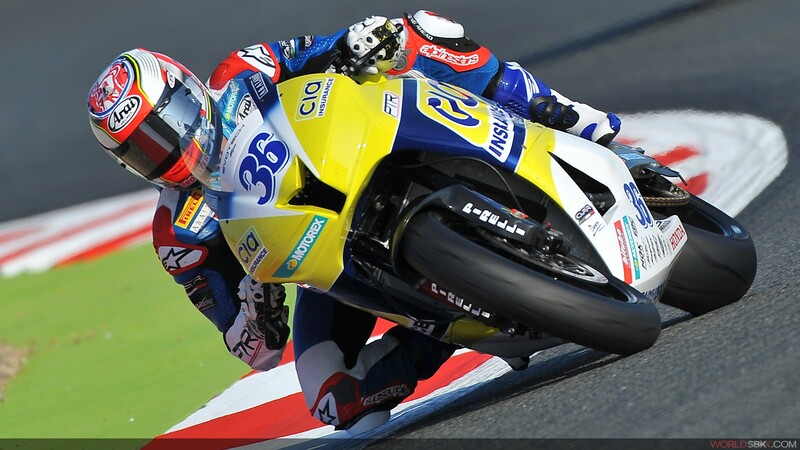 Martin joins Riccardo Russo in the 2015 CIA Landlords Insurance Honda WSS team. Two more team riders will be announced in due course.